Open the file below to view the schedule. Tournament starts at 9:00. I estimate that we should be finished by 17:00 / 17:30. Find your name to see your own start time. Click on the files below to view the draws. Schedule will be out tomorrow. To give people a rough idea of when they will be playing it will likely be a 9:30 / 10:00 start and will finish around 17:00 / 18:00. Obviously your own personal start and finish time will depend on where you fit into the draw and how well you do on the day. Click below to see the entry list for Limpsfield. The numbers in brackets are rankings and not seedings. Draws for this event will be done tomorrow and uploaded onto this page. If anyone has any issues with the list, if any information is incorrect or I have missed someone off please give me a call or send a text to 07846 067505. 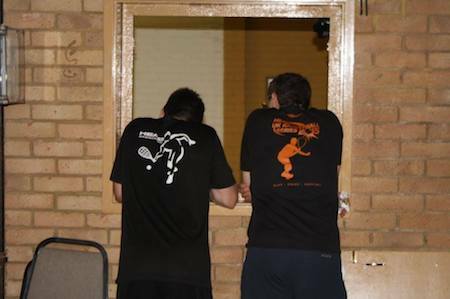 ​This will be the fifth year in a row that the Series has come to Limpsfield and it will be the first HEAD UK-Racketball event of the year in the South of the country. Limpsfield is a great club and is one of the main reasons we come back year after year. The event in May is always eagerly anticipated. Limpsfield has a proactive committee and thriving Racketball section which helps to make this a standout event in the UKRB calendar. Four players in the England Top 10 played at last year’s event. One of the biggest draws of the day was the Over 50s Final. 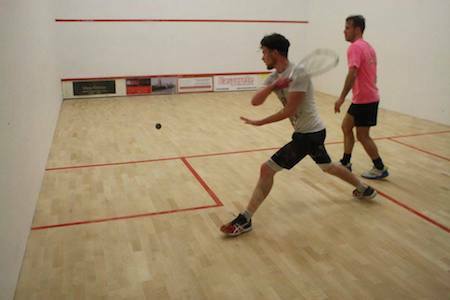 After the finalists battled through at least three games in the group stages, it came down to a gritty final between Patrick Osborn and Michael Wardle that saw Patrick Osborn go on to take his 10th title.